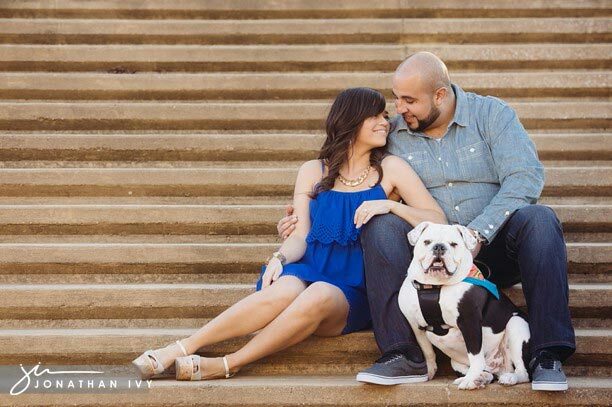 Check out this adorable couple and their fur baby King Tut, he is an english bulldog with style (he gets it from his parents). We had the opportunity to capture these 3 in the Buffalo Bayou area in Houston for their engagement photos. Here are a few of our favs from this adorable outdoor engagement session. Yes he has his own custom skateboard that he knows how to use! Eric brought along one of his toys as well!